Our teams in Zambia and Namibia really do travel far and wide to spread the good news of Jesus to their fellow country men and women. Here’s a few insights into what it means for them to do this. Here Bernard is on route to Kamuchnaga. He cycled the 10km on each way on bumpy dirt roads to pay an initial visit. He was going to talk to a few people in the area who have expressed an interest in the work of Dignity. On this trip, Gervas was going further than his feet or a bike could take him so this time he caught a lift in whatever transport he could…a canter truck! He’s put his bike on the truck to help with the last leg of the journey! It’s not uncommon for our teams to find themselves walking to or from the tar road to the village where they are meeting people. Here Margaret is leading the way back to the tar from Kangomba, a short walk being about 1.5km. 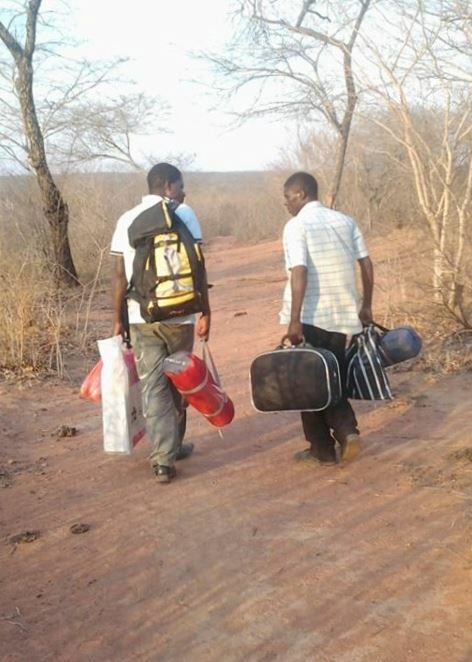 Bernard and Gervas are on their way to Simusanda, a 3km walk from where the bus dropped them off. As they are staying for a few days they are carrying their luggage a camping equipment! Can you pay for a bus fare? 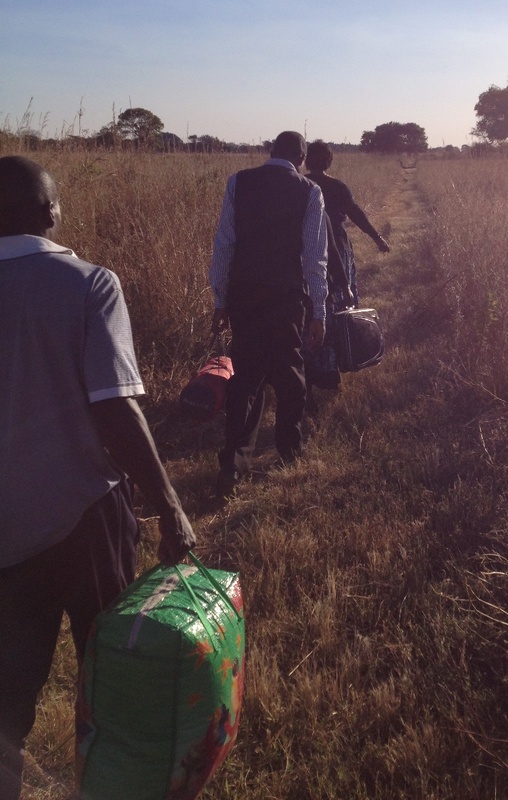 Even though they don’t travel luxuriously, one of Dignity’s major expenses is the cost of travel for our team members. Can you help us cover these costs by donating the equivalent of your daily commute either as a one off or a regular monthly gift?